Incidentally, there’s something which may be called the ‘unconscious working memory’ as well, isn’t there? For example, sometimes when you glance through some data, your instinct tells you that something isn’t right. It makes me think that some kind of background processing is at work in the brain… Something similar occurs when an experienced specialist glances at an artwork, and can tell instinctively that it’s a fake. I wonder if that’s one manifestation of the working memory in action. 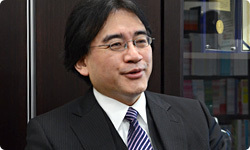 What do you think, as a brain specialist, Dr. Kawashima? Well, the working memory is thought to work exactly as you have just described it. The part of the brain that we can consciously control is quite narrow, while the part that is controlled subliminally is rather large. The current theory is that your brain is always processing information in the background, though only the necessary information enters your consciousness. Background processing is handled by the working memory, so playing Devilish Brain Training should broaden this ability. You should be able to experience this when playing Devilish Calculations. That’s right. Someone who played Devilish Calculations told me that answers just started popping up in their head while they played, even though they hadn’t consciously remembered them. You mean, your conscious working memory reaches its limit in Devilish Calculations at about three problems back, and to answer a four-back problem, you’ve got to be able to make use of your unconscious working memory? That’s right. You know the answer even though you’re not conscious of it. It just comes out. You have to draw out something that’s buried deeper than the numbers in your head. Something lurking in the shadows behind your conscious memory suddenly comes forth. Even I find that to be incredibly mysterious. I’ve experienced moments when I felt, “Oh, my brain has changed.”. In that sense, and in the sense that training your working memory really increases the potential for deeper brain functions in a variety of ways, this is a field in which you must sense great possibilities. It is, yes. So while I think Devilish Brain Training is a chance for lots of people to train their own brains, I’m personally really looking forward to seeing what kind of changes will occur. So in addition to the obvious brain function improvements such as improved memory, you think other changes may also take place within people’s brains? I think a range of things will happen on an individual level. However, humans are really bad at grasping changes within themselves. At first, therefore – and this is just conjecture on my part – I think it’s more likely that friends and family members will say things like, ’You’ve changed a little’. Humans aren’t very good at perceiving gradual changes, are they? We can only sense big changes, and we are more likely to notice changes in other people if we haven’t seen them for a while, or if we haven’t been paying attention to them. This software was proposed as being able to help people over a certain age regain the maximum performance they once had when they were young, and being able to help young people reach their full, but as yet untapped, potential. Incidentally, it took three years since you made the proposal for Devilish Brain Training to go from the development stage to being released… It’s because, it’s just so hard that we want to give up whenever we do the exercises! I suppose the production team must have been hard pressed to find ways to maintain players’ motivation. They must have put in a lot of thought so that people who don’t have very strong willpower can stay focused, or come back to the software after taking a break. I hope everyone can appreciate the three years of hard work our staff have put into this title. Our proposal contained some very significant hurdles that needed to be overcome. I’m really looking forward to seeing how the new title is received by the world. ’Competition’ is a key element this time. I’m expecting a lot from the StreetPass16 feature. I can’t wait to head into town and show off my training scores!16 StreetPass™ is a feature that, when enabled, allows users to exchange certain game data with other Nintendo 3DS users whom they pass on the street, simply by walking around with their Nintendo 3DS systems turned on. Using StreetPass with Devilish Brain Training allows users to exchange their training results with people they pass on the street, compare those scores, and try to beat each other. Yes. Another new feature involves the SpotPass17 feature, which I believe came up during discussions between you and our development team. 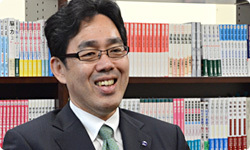 If players use SpotPass on their Nintendo 3DS systems – and of course they must agree to this and no private information will be sent – their first month of training data will be sent to Dr. Kawashima and other experts. I think this will provide us with vital scientific sample data on how the brains of people who play Devilish Brain Training are changing.17 SpotPass™ is a feature of the Nintendo 3DS system that, when activated, transmits various information and content when near a wireless LAN access point. Yes. Since we may be able to collect hundreds of thousands of case samples, I would like to analyse the data with the help of some information science professors. It would be interesting if something new came to light. It may help your research proceed to the next step and you discover new connections, or you may be able to prove some of your hypotheses. Yes. 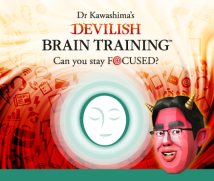 Devilish Brain Training contains various training exercises, so everyone will have their own strengths and weaknesses. To use a technical term, it could be interesting to use pattern recognition, dividing people into groups and observing which changes take place in people who are good at certain activities. There were certainly patterns that could be observed in previous Brain Training games, such as people who were good at calculation but poor at memory exercises. I imagine people will find they are good at some things and not at other things as they train their working memory as well. In that sense, I think the fact that there’s a possibility our product may play a role in new research is very interesting indeed. When I think about seeing the conclusions and results of this research, it sounds both challenging and very exciting. Then it sounds like this is a release we are both looking forward to! I hope we can continue to work together in the future as well. 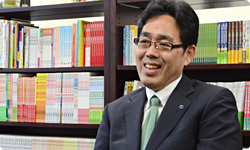 Thank you, Dr. Kawashima. Yes, I look forward to it. Thank you.